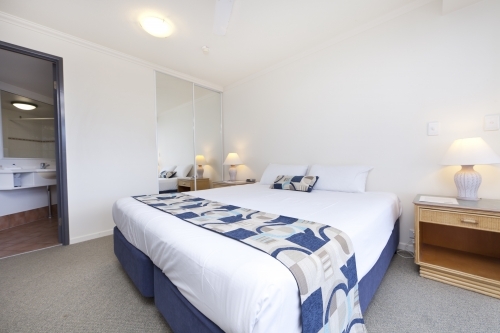 Alpha Sovereign Hotel Gold Coast (formerly Australis Sovereign) is just the place to stay for a quiet retreat in Surfers Paradise, while still having easy access to beaches, shopping, dining and attractions. 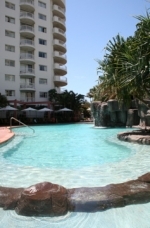 Situated on the Broadbeach side of Surfers Paradise, you can enjoy the best the area has to offer by day or night but swiftly escape the hustle and bustle when you arrive back at the hotel. The intimate lagoon pool and spa is surrounded by lush tropical gardens and shady pockets to relax in. Or soak up the sun on poolside lounges, just a few steps from Flavours bar to order a drink or snack. A credit card & photo ID will be required upon check-in. If a credit card cannot be provided a cash deposit of $200 will be required.